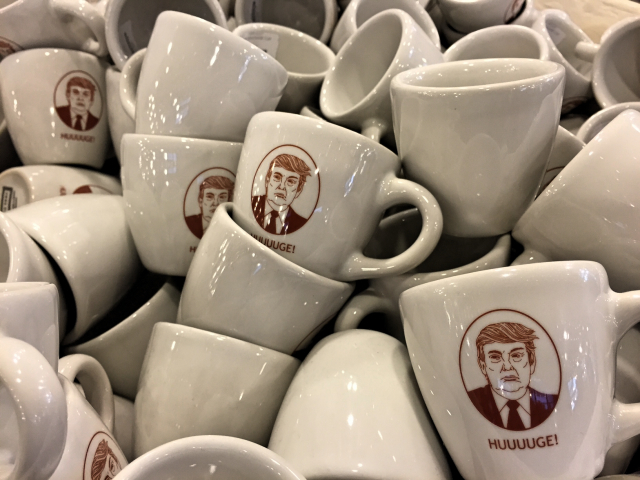 Looking for a not so typical touristy New York souvenir? Go to Fishs Eddy in the Flatiron District. 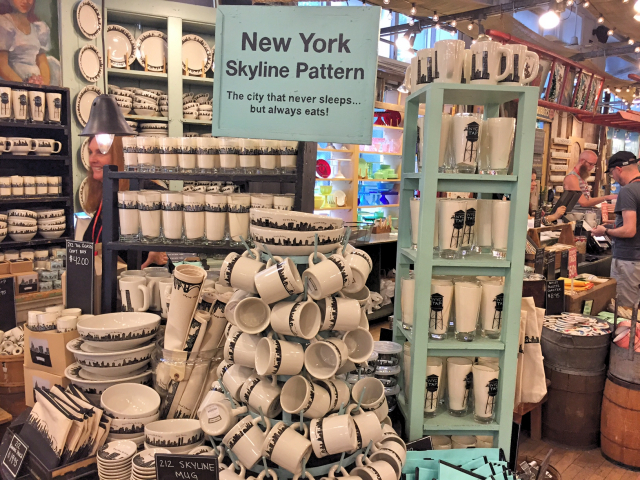 It is known as one of the best stores for cooking gear and kitchen items in New York City and it also has lots of fun and interesting stuff inspired by the Big Apple. 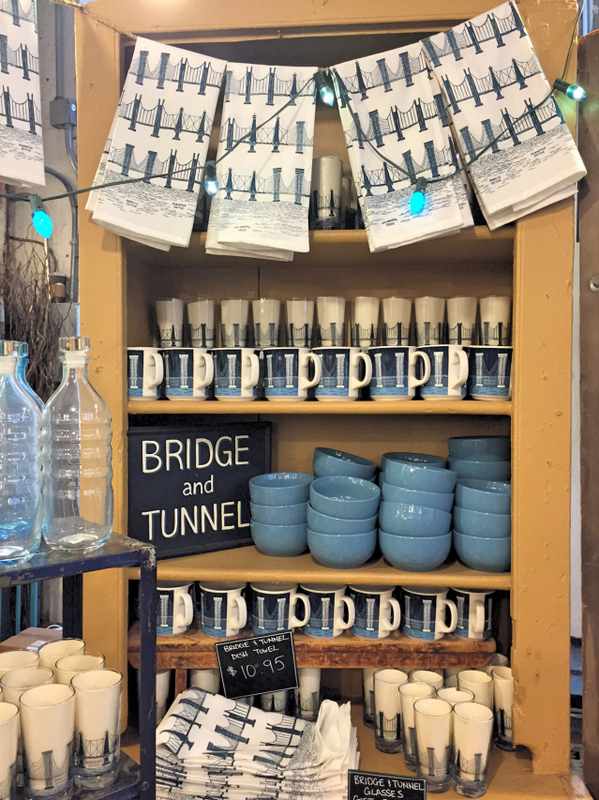 Think “Bridge and Tunnel” and "New York skyline" dish sets, glasses, kitchen towels, bags, napkins, coasters, magnets etc. etc. Fishs Eddy mixes vintage with modern, classy with quirky and is as much in the way back when as in the now - notice the election collection. Fishs Eddy is right in the Flatiron District. An area well liked by the Newyorkcitytrippers! 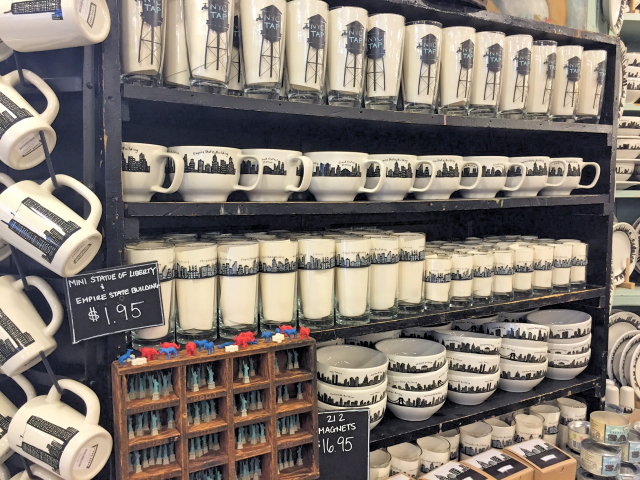 And even if you're not into dishes or New York souvenirs we really think you ought to take a look. The place will bring a smile to your face. Really.